Gayle Becwar has performed in front of thousands of companies all over the world, with his unique brand of clean, interactive, fast-paced magic and comedy. Don’t miss this great show! Call Today and you will be surprised how affordable his 60-minute show is. Gayle also is notorious for sticking around after the show and performing card tricks, helping out with Gift-Give-Aways, or just having fun with your group. With all this, you get two shows for the price of one. 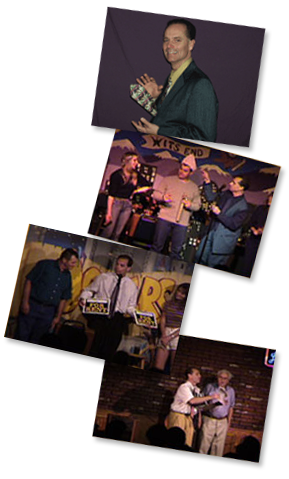 Visit Becwar & Associates to see the wide variety of entertainers available for your event!